Spacious, bright rooms. Furnished with family antiques, enriched with design details and finished off with natural fir wooden beam ceilings. All have private bathroom and separate entrance directly from our garden. Our wealth comes from the surrounding environment, the fruits of our land and the elegant company of the fauna. 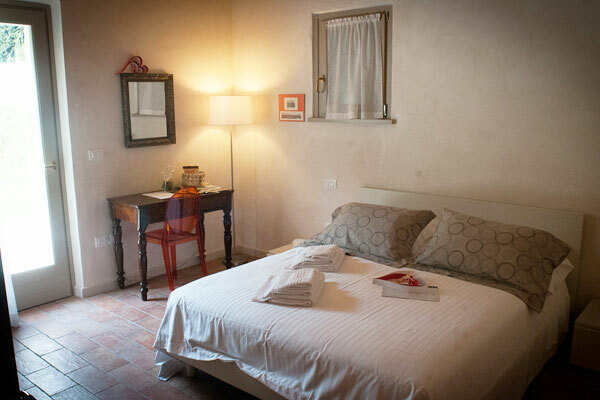 The Isolo Bed and Breakfast lies within the Mincio Regional Park, one of the finest natural settings in Lombardy. At first sight the structure presents itself like a small, lush island bordered by the Mincio River and the Virgilio Canal. Monzambano stands at the heart of the Morainic Hills, in a central position between Lake Garda, Verona, Mantua and Brescia. The taste of our guests will be met by a land full of culture and history as well as food and wine products. Cosy and charming. A hint of 'retro' with a touch of colour that renders them modern. Equipped with all major amenities to make your stay unique. Each room has its own private bathroom and a separate entrance. 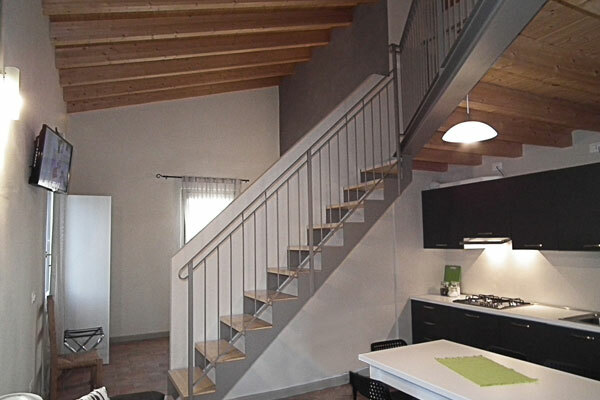 Accommodation with two separate though adjoining double rooms with a shared, private bathroom. Ideal for families or groups of friends. Both rooms have direct outside access. Newly constructed private apartments. Fitted with cooking facilities that allow you to spend your holiday independently. Equipped with every comfort. We recommend food and wine tasting tours to our guests so they can discover typical aspects of the Mantua area and lower Lake Garda. We work together with the best restaurants, holiday farms and local producers to provide you with different tasting experiences. Fantastic walking or bicycle routes with bikes provided free of charge for our guests in order to enjoy the natural surroundings offered by the Morainic Hills and Lake Garda.